For more than 30 years, the practice of Acupressure Shiatsu has been, and still is, one of my favorite tools for helping people. 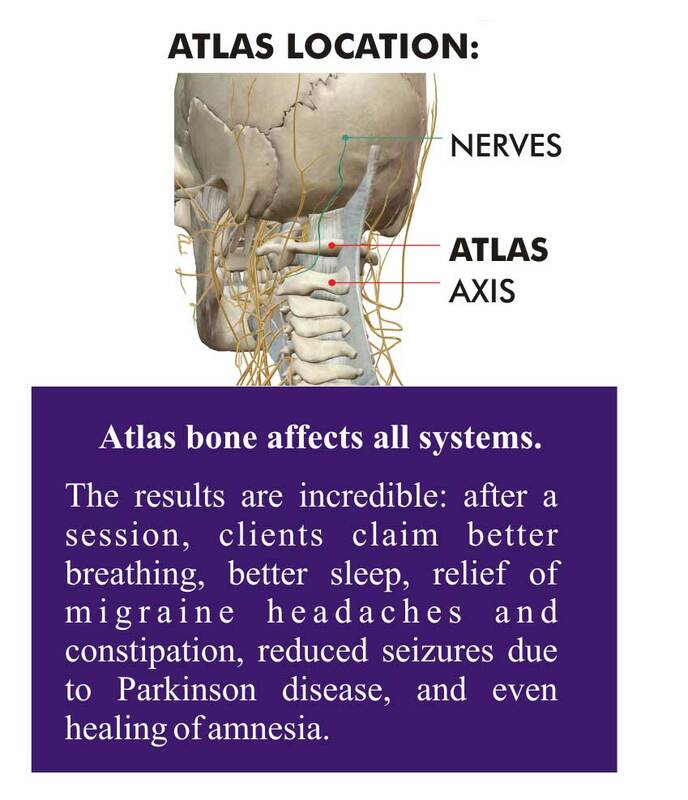 During the last 20 years I started to pay more attention to the Atlas bone. As a result of that time of study, I believe I have created a more efficient technique for treating this important vertebra. 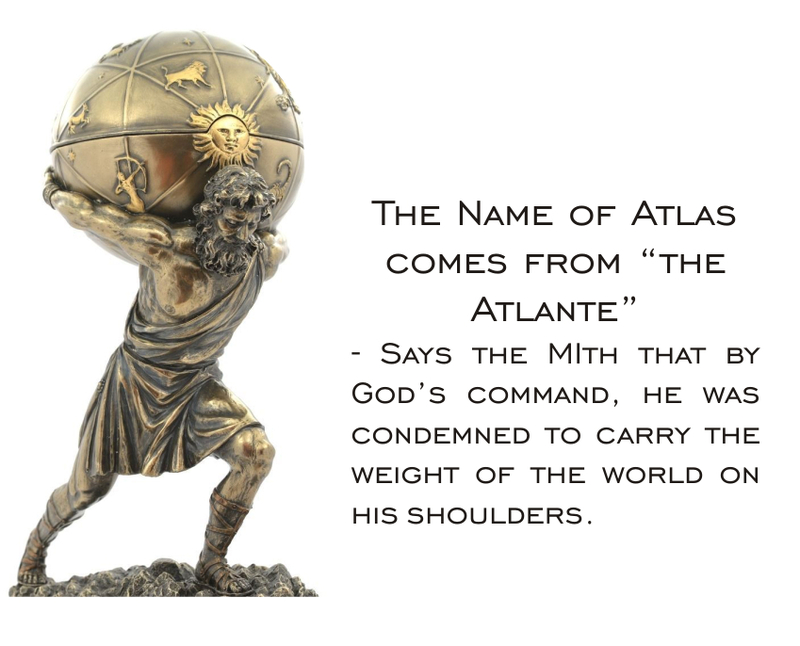 The Atlas bone gets its name from the myth of the Giant Atlas who was punished by God and assigned to carry the weight of the world on his shoulders. 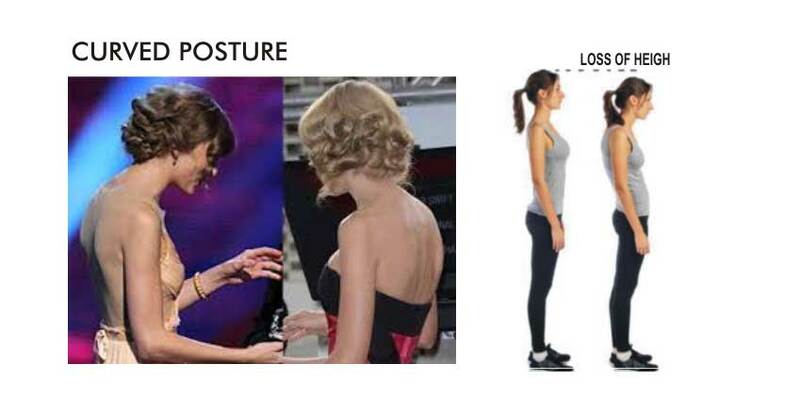 The Atlas is a key bone which supports the weight of the head – not only the physical weight but also the psychological weight. The Atlas has 12 pairs of nerves coming from the central nervous system. On top of the trapezius there is a big ligament which supports the atlas in a really rigid position. 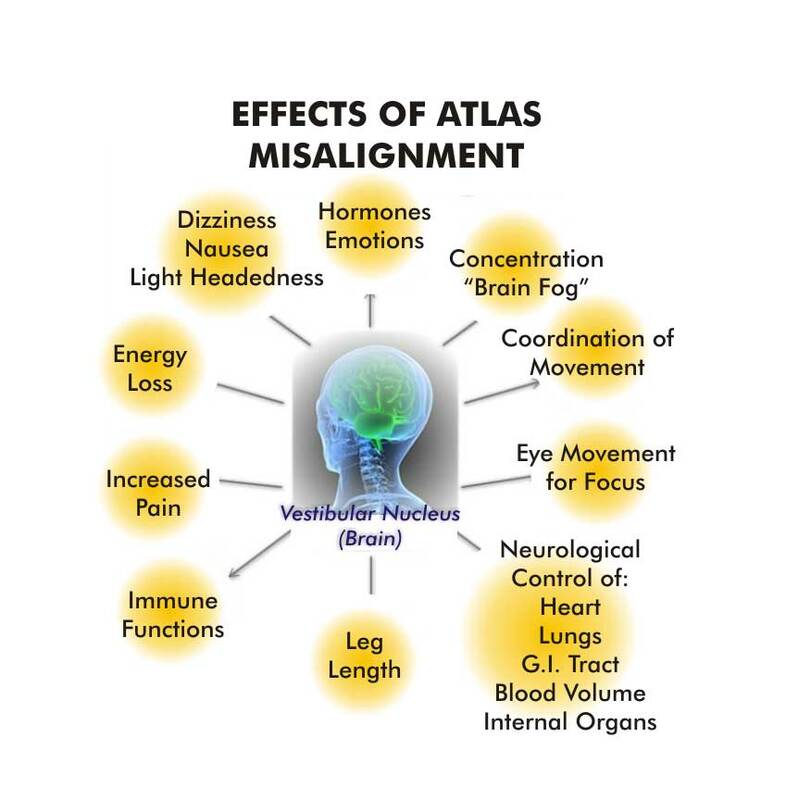 For this reason, when the atlas gets out of place – which can happen from a car accident, from wrong postures, from disorders of the digestive system, liver or gallbladder – it affects the vagus nerve. The vagus nerve is a nerve system in itself. We have 3: the central, the parasympathetic, and the autonomic nervous system or vagus. The vagus nerve goes through the atlas bone and when this vertebra is out of place it squeezes the nerve producing problems in the intestines, pancreas, liver, and the digestive system. The vagus nerve also affects spiritual, sexual, focus, memory, attention, and coordination. Besides the vagus, we also have the carotid and aorta arteries which are the biggest tubes connecting the circulatory system with the heart and the brain. The atlas is surrounded by two spiral of muscles: the tensions in them, in the sternocleidomastoideos muscles, plus the trapezius can affect face muscles and also one's dental condition. If there is a lost tooth and the bite is uneven, the mandibular muscles cause the jaw to get out of location creating tension and toxins which push the atlas out of place. The tension in the big muscles, specially the trapezius (which covers almost all of the upper back), when those muscles are under stress, when you are in a bad diet, bad posture with a lack of stretching exercise or therapy, the atlas, under the pressure of the head, gravity, stress, toxins coming from the diet and postures, gets in the wrong position. That minimizes the amount of blood in the brain causing a long list of symptoms, like amnesia, seizures, chronic fatigue, lack of attention, lack of memory, irritability, insomnia, digestive system dysfunction, skin problems, allergies, and more. As a healer, I have worked each day to maximize my time and my knowledge for the purpose of providing better healing practices. After many years of practice and education, I consider myself a specialist in AAT (Atlas Acupressure Therapy), a technique I use and it is based on acupressure shiatsu – a Japanese healing method.The best way to treat atlas dysfunction is a holistic approach. Through coordinated therapy, at the same time I clean the muscles I release tensions, I reorganize the energy of the meridians going through the neck, I restore the pulse and the tone of the cranial and brain dynamic, and using acupressure points, I reorganize the whole upper body, shoulders, neck, clavicles, cervical spine, cranium, sternum and ribs. Atlas point is an important area of focus. 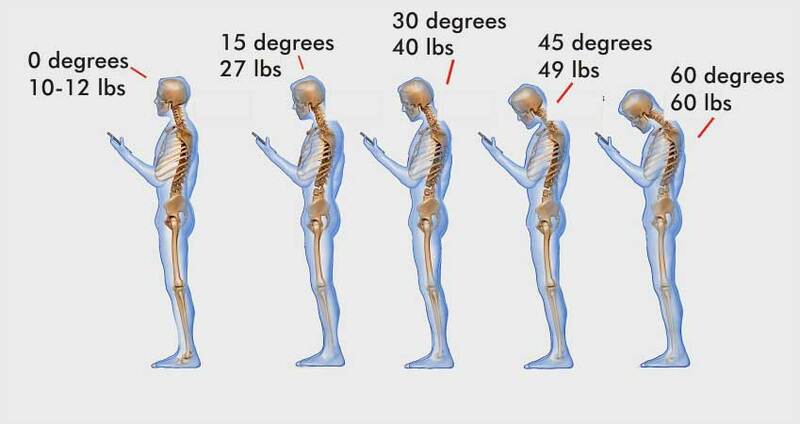 After putting attention on one of the naturally weakest parts of the human body, the neck, if you have any of the symptoms I described or you don't understand what is happening with your health, or feel lost, let me work on your atlas and then we talk.